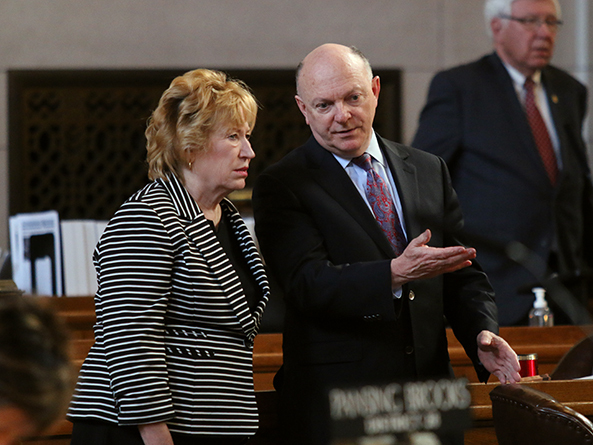 Under LB295, introduced by Papillion Sen. Jim Smith last session, individuals, pass-through entities, estates, trusts and corporations could receive a nonrefundable income tax credit equal to the contributions they make to scholarship-granting organizations. The scholarships could be used to pay for tuition and fees for attending a nongovernmental, privately operated elementary or secondary school in Nebraska. Smith said the credits would give more middle- and low-income families the ability to send their children to private school if they decide that a public school is not a good fit. The bill would not divert money away from the state’s public schools, he said. A pending Revenue Committee amendment would cap the total amount of credits available in 2019 at $2 million instead of the original bill’s $10 million. The amendment would allow an annual 20 percent increase in subsequent years if most of the credits are claimed, but it would limit the amount of credits available per year to $10 million. Only students who are Nebraska residents and whose household income does not exceed twice the eligible income for the federal reduced-price lunch program could qualify for the scholarships. They also must be receiving an education scholarship for the first time and transferring from a public school or entering kindergarten or the ninth grade. Nonprofits could apply to the state Department of Revenue to become certified scholarship-granting organizations. They would be required to allocate at least 90 percent of their revenue for education scholarships and no more than 10 percent for administrative costs. Individuals could receive credits equal to their contributions to scholarship-granting organizations up to $10,000 per year for those married filing jointly and $5,000 if filing as an individual. A partnership, limited liability company, subchapter S corporation, estate or trust could receive up to $50,000 per year in credits for its contributions. A corporation would be eligible for up to $150,000 in credits per year. The total amount of credits allowed for corporations would be capped at 70 percent of the annual limit. Smith said he would introduce an amendment to the committee amendment that would cap the credit at 75 percent of the total contributions made during the tax year, instead of the originally proposed dollar-for-dollar credit. Sen. Lou Ann Linehan of Elkhorn supported the bill, saying that it would give low-income parents the opportunity to send their children to a school that best fits their needs. Linehan said the scholarships could be used only at private schools accredited by the state and that private school students take nationally recognized standardized tests in elementary, junior high and high school. She also cited research showing that similar tax credits in 18 other states have saved those states money by reducing the number of children attending public schools. 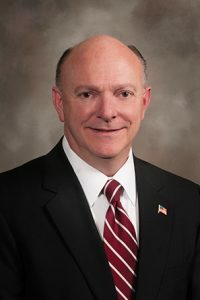 Sen. Burke Harr of Omaha opposed the bill, saying that the scholarships could be used only at private schools that do “not discriminate on the basis of race, color or national origin.” That would allow those schools to discriminate against students based on their sexual orientation, discipline record and physical or learning disabilities, he said. Lincoln Sen. Adam Morfeld also opposed the bill. He said he supports both public and private schools, but he does not believe that public funds should be used to pay for tuition at private schools. He said the income eligibility requirements in the bill would not target the credits to low- and middle-income families and that private schools are not subject to the same state testing and accountability measures as public schools. Sen. Kate Bolz of Lincoln said the bill’s potential $10 million impact to the state budget concerns her, especially when state’s school funding formula has been fully funded in only 3 of the last 16 years. She also questioned whether the bill would save the state money. Harr filed a motion to indefinitely postpone the bill, which would end consideration on it for the session. The motion failed on a 9-19 vote.